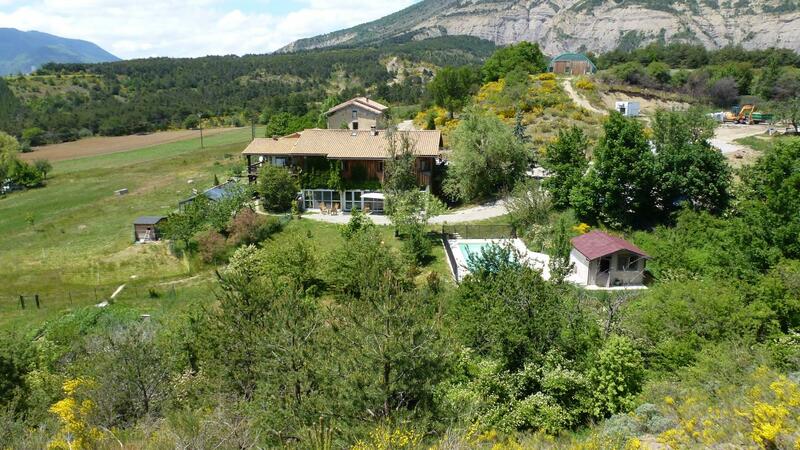 In the heart of nature, large cottage for 15 people with swimming pool, on the farm, with 5 bedrooms each with a private bathroom. 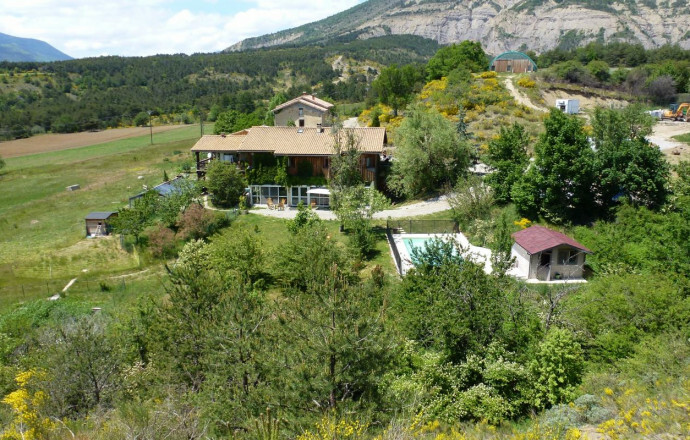 At the heart of a small valley between Drôme Provençale and the Dévoluy massif, this cottage has been converted into a contemporary house with direct access to hiking trails and many outdoor activities. It has a pool reserved for accommodation. The location of the cottage on a farm labeled organic you will discover healthy products and quality. Independently, you can enjoy the large land and its equipment. 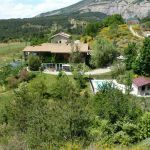 Ideal for small group or family, this cottage has a spacious living room of 70 m² opening onto a covered terrace with veranda facing south overlooking the private land and pool. The living room has an integrated open kitchen and a dining area and a relaxation area with fireplace (wood is provided), library area. The cottage is fully equipped: dishwasher, washing machine, freezer, tumble dryer, TV, WiFi internet connection ... Upstairs, each of the five bedrooms have a bathroom and toilet. 4 bedrooms with 2 single beds juxtaposed offering a bed for 2 people in 160 or 180 and 2 additional beds in mezzanine, the fifth bedroom is equipped with a bed for 2 people. Sheets are included and you can rent the towels or request a cleaning service and end of stay. Parking spaces are reserved for the cottage. The secured pool will allow you to enjoy the country atmosphere in the summer. The discreet home of the owner is adjoining the house. At the farm, you will discover a diversified production: lambs, farm chickens, eggs, sausages, vegetables and fruits. If you wish, you can discover the agricultural activity labeled organic with the owner. You can also, if you wish, enjoy a meal service in the cottage (on request) with menus from the farm products. 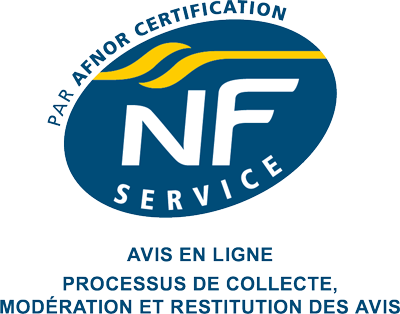 Merci pour votre avis, nous avons été ravis de vous accueillir, et à l'année prochaine ! Merci Nathalie, ça a été un plaisir de vous recevoir dans notre gîte, nous espérons vous revoir bientôt également ! Super content d'avoir passé ces quelques jours dans votre gîte. Très spacieux et parfait avec les enfants. Le cadre est splendide.